V.W.Bro. 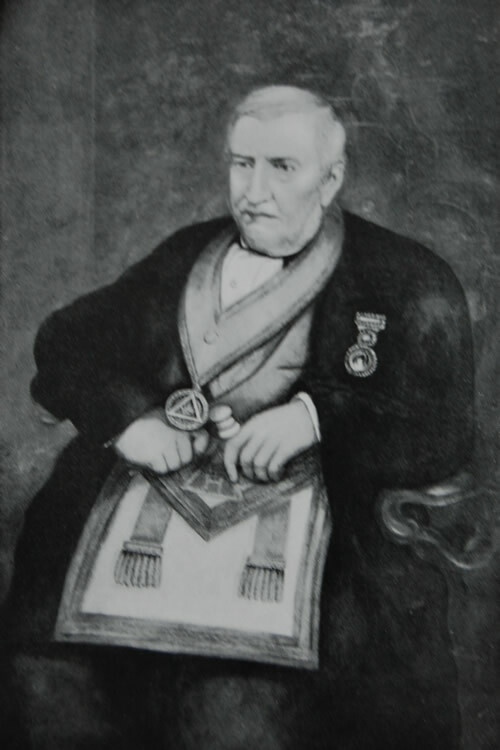 James M’Cracken was one of the most enthusiastic Freemasons of his time. His record is remarkable, and testifies to his enthusiasm and sincerity. His interest in the preliminaries to the building of the hall is set forth in the History, where it will be seen that he was present at most of the meetings, and his subscription of £100 was only excelled by that of the R.W. Grand Master, the Marquess of Donegall. Bro, M’Cracken’s name appears on the lease of 1870 with R.W.Bro. Sir Charles Lanyon’s as co-trustee. His picture was painted by a local artist, Birney, who died before it was finished. Bro. Reid, decorator, etc. of King Street, took it in hand and finished it. This information was given by his son, Bro. W. Reid of Lodge 783. Bro. M’Cracken was a distinguished member of 609. He carried on business as a builder and contractor in Divis Street.